You might not think about it, but your signature can be a logo too. You can simply sign your name of course, and you should on legal documents… but many artists have a stylized form of their signature that they use to sign their finished works. If you have been following my blog since I appeared at the Raleigh Comic Convention back in August, you have seen scans of my sketches that include my signature logo. So what is the secret origin of my logo? For years I had been practicing variations on things that I liked. For a time I thought I might use a stylized version of my initials (SJV) in a design similar to the old Van Halen logo. It looked ok, and I was a fan of the band, but that didn’t really yield a signature that represented anything of myself. As I have said before, your logo represents you and at that point my concept did not adequately represent me. I was always a good math and science student and was an Electrical Engineering major at NC State University, so in some ways it is odd that it took me as long as it did to come up with this design. It is simple and quite by accident very functional in communicating additional information beyond just who drew the picture. The integral symbol represents my first initial, the root symbol represents my last initial, and the J fits snugly in there as a variable to the root function. As I settled upon this design and grew to like it, I discovered a happy accident… I could use the lower and upper limits for the integral symbol to represent the month and year, respectively. So I ended up with a neat little signature logo that identifies me as well as when I completed the work. It also represents the analytical side of me as much as it represents the artistic side. Do you have your own stylized signature logo design? I have long espoused the notion of being prepared to record every idea that pops into my mind. Ideas can come to you any time of the day or night and might have very little to do with what you are actively doing or thinking in that moment. What I don’t always remember to mention is that your dreams can be a powerful source for fresh ideas. I have always had interesting dreams. Sometimes I remember every detail vividly, other times I retain only parts. Often the details slip away quite quickly as I wake up so I have to be ready to capture those ideas while I can still recall them. Not every dream is interesting, of course, but enough are that it is well worth paying attention. What I am finding interesting, though, is just as I began this blog my dreams began to align themselves at times in interesting ways with my daily comic strip. Very often I find myself awake after having a vivid dream that is just packed with ideas for stories that I had not thought of previously. Further… I believe I am learning how to intentionally fuel my dreams. In pursuit of the next idea, I browse the Web and peruse other people’s blogs. I look to Web sites of interest to me and research various things as they pop into my head to consider as source material. I also have lots of personal stories that come into play when I dip into my real life from time to time. The concept in play here is to fill my mind with as many varied things as I can on any particular day when I am not actively developing a specific story idea. I want to put as many things into my head as I can, and I want to think about various sources of possible inspiration without trying to put anything together in a particular way. I’m just looking to stuff a bunch of semi-random information into my head. It doesn’t happen that same night… sometimes not even for a couple of nights… but at some point during the week, I find that I am dreaming of people and places and things that I had been thinking about and when I wake up, I try to capture as much of it as I can before it slips away. Some of my best ideas recently have literally come to me in a dream. Sometimes I feel like I am cheating. I might spend days trying to actively develop a story, working and re-working everything until I’m satisfied. Then, one night I have a vivid dream of a far better idea and in hours the next day have a stronger new story than the one I had worked many times as hard to complete. As a result, I am recommending everyone do what I have started to do to fuel my creativity. Find some time everyday to devote to random thought. Think of people, places, characters, and things that interest you. Don’t try to consciously connect the dots and put anyone or anything into any particular order. Just let your mind wander to anything and everything of interest to you and let your subconscious do the heavy lifting for you later. I suspect you might be amazed within a week of the new ideas that come to you in your dreams. So, you have an idea that has been bouncing around in your head and you aren’t quite sure what to do with it. Or maybe you know what you want to do with it but don’t know how, or where to start. I thought it might be good to take you through a quick process tour of a cartoon I created about 10 years ago. It was an idea that had been in my head for a while until I finally put it to good use. Sometimes I would swear I could hear toucan… and for years that was stuck in my head until I finally decided to do something with it. The butchered lyric was funny, but without a visual didn’t have much oomph. The first decision I had to make was, cartoony or realistic? I decided to go with the Leslie Nielsen delivery. You can look him up if you aren’t familiar with the actor and his work, but suffice it to say serious delivery of a funny line is sometimes funnier than silly delivery of a funny line. 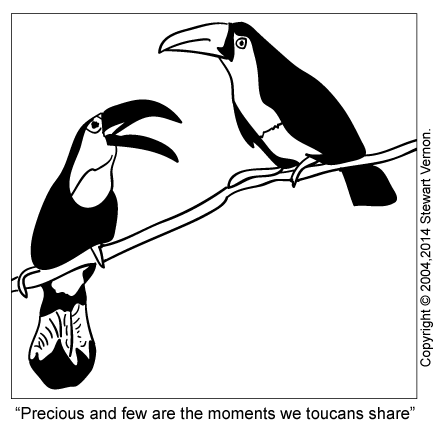 Opting for realism, the next step was to find reference art for my toucans. I had an image in my mind of a couple of toucans perched on a branch having a casual conversation. A quick aside here, many artists use reference photographs to refine their work. I’m not talking about tracing, I’m talking about looking at how things exist and flow in real-life in order to capture the parts you want in your drawing. The Internet is a great tool for finding reference photographs if you don’t have the means or expertise to take your own. After a lot of searching, I found exactly what I wanted in the ones below. Two separate photographs, but each perched on a stick the way I wanted. Even better, the second one has his mouth open as if caught in mid-sentence! The next decision I had to make was how to create the art. Since I wanted to eventually compose the final work on my computer, I had essentially three options: Draw everything on paper and scan it in, Draw everything on the computer with the software tools, Use my Wacom tablet for a combination of the first two options. Each option has their merits. Drawing exclusively on the computer, however, I feared might look too mechanical and not get the realism I wanted for the final look. I also kind of wanted to play with the new Wacom tablet I had at the time, so I opted for the third method. Wacom, or similar, tablets are a nice way to draw with a natural feel but capture lines and curves in a way that you can more easily manipulate later as vector art if you so desire. For this cartoon, the only manipulation after drawing was the use of the fill feature to blacken in the parts I wanted solid. All that was left was to box the cartoon for the traditional single-panel look, and add the caption below it. So, there you have it… an idea from concept to final cartoon in a snapshot of the process. 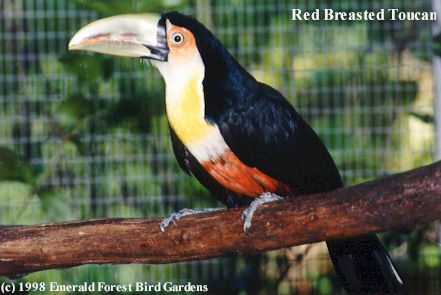 A special thank you to Jerry of Emerald Forest Bird Gardens for granting me permission to use the toucan photos from their Web site. 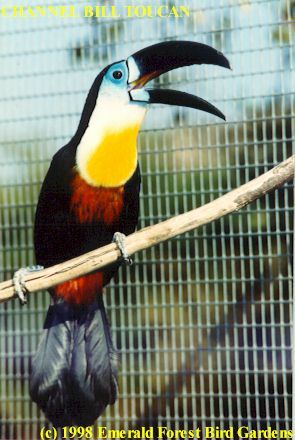 They have a lot of information about toucans, so I recommend you visit the link and take a look around. I see people everyday who proclaim to not be creative. They can’t draw or play a musical instrument or write a story, and they will say “I’m just not a creative person.” If this sounds like you, I am going to hopefully change your way of thinking by the time I’m done here today. Society tends to condition us to believe that creativity must manifest itself in specific ways. This makes it easy to identify creativity in others. We see an actor or a musician perform, and we see the creativity in action. The same holds true when observing a painting, a sculpture, or reading a book. But the creativity we see so easily in others can often be difficult to find in ourselves. We will sit down to draw only to find that we cannot draw the things we see in our minds, or we try and write but the words do not come to mind to narrate the story in our heads. Some will frustrate themselves trying to learn to play an instrument that never sounds as good as we imagine the tune when we close our eyes. Additionally, society tends to ignore many other obvious creative outlets. If you look around with an open mind, you can find creativity in every profession. Maybe it is the job itself, or the way the worker completes the task, or perhaps the way in which he finds enjoyment in completing his job in a particular way. Creativity is everywhere and it is an innately human thing that you can’t possibly be without, no matter how you might have been trained to think otherwise. Everyone can draw or write or play an instrument, given enough time and practice… but for some it comes more naturally than others. Our creativity manifests itself in different ways, and that’s normal. If you give up being creative because you can’t draw, you might miss your calling as a musician. You might miss your calling as a writer if you quit because those piano lessons frustrated you until you began to withdraw. Or maybe you should be a computer programmer or a manager or a leader of others… all tasks that require creativity that is often overlooked. Because of our societal conditioning, we try to force our creativity through a specific medium. The trick is learning to allow your idea to dictate the medium of expression and not the other way around. If you can learn to do that, you might be surprised at what you can do. In fact, you might even find you can do some of the things you thought you couldn’t do, just not in the way you thought you were supposed to do them. So, don’t force yourself to write or draw… don’t beat yourself up if you can’t play the instrument you think you need to be creative. You have an idea that you want to express, that’s the heart of creativity! Let your creativity drive you, instead of you trying to drive your creativity, and you might be pleasantly surprised at where it will take you. So… you have an idea but you don’t know where to start. When you ask others how to start, the typical response is to “just start” which sounds kind of enigmatic. How do you know where to start if you don’t know how to start? Hopefully that will make a little more sense when I am through here. When you watch a movie, or read a book, or appreciate a painting it seems structured and organized. The ideas flow naturally from one to the next, and that’s what you want to create. You want your idea to be that fluid and expressive, but you’re seeing the end-product. You aren’t seeing where that project began, but rather where it ended. Most people make the critical mistake of believing that you have to start at the beginning. You don’t. You can start anywhere you like. You can start with the end of your story if you want. Many jokes originate from the punchline, with the setup being developed to reach that goal. If you try to force yourself to start only at a specific place, you will stifle your creativity. So, you begin by writing or drawing and making sure you capture any idea that you have. Even if you don’t particularly like the idea right now, make a note of it and keep it. Keep everything together and never throw anything away. Even if you read something you wrote and don’t like it, keep that too. If you continue to work with your ideas in this manner, you will eventually find that the creation seems to take on a life of its own. The characters begin to almost write themselves. The art defines and guides itself. It’s nearly an out-of-body experience where you almost become a ghost-writer for your own idea, and you don’t feel like you are creating anymore but are merely communicating something that has already actually happened. This is when you discover you have actually started. You will be able to go back over all the earlier work and help it fit the story you are telling now. Concepts you didn’t know how to use, or didn’t fit smoothly, you can more easily work with them. You might even find places to use those random ideas that never seemed to find a home. Good thing you kept them! So, begin now… you aren’t creating your final product from the start. Work from the end, or the middle, or flesh out a character. Keep adding to your creation, even if things are out of order. Eventually your ideas will begin to connect themselves, and that’s when you actually get started! From time to time I will post and try to give a glimpse into the madness behind the madness. The creative process is a strange thing to talk about. Let me start by saying that for me it isn’t really a formal process at all. I set aside some time to work and see what happens. If I find my mind wandering and nothing is getting done, I walk away for a bit and do something else. I might watch TV or browse the Internet or read something. There’s no point in beating my head against a wall when the ideas are not popping. When the creativity flows, however, I sit at the computer and write and draw until I empty the well. Sometimes the ideas come faster than I can develop them fully, so I have to switch gears and take notes and make sketches so I don’t lose the best stuff. I can always expand upon a good idea later, so making sure I don’t lose those idea nuggets is the top priority.